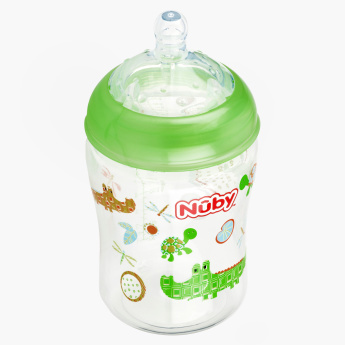 Nuby Printed Feeding Bottle - 270 ml | Green | Bpa free. Welcome comfort as you feed your baby with the help of this printed feeding bottle. 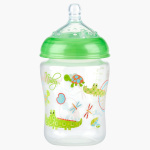 Designed to replicate natural feeding to the maximum, this anti-colic system bottle has a friendly teat to latch on comfortably.